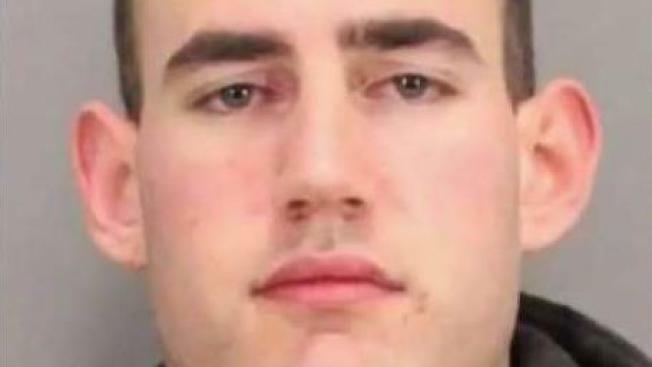 A Santa Clara County correctional deputy was arrested Tuesday for sending illicit images of himself to a minor, according to the San Jose Police Department. Deputy Blaine Hopper, 23, developed a friendship with a 17-year-old girl while the two participated in a youth program, police said. Over a five-month period, Hopper and the girl communicated with one another through social media, which included Hopper requesting illicit images from her as well as sending illicit images and videos of himself to the girl, investigators said. Hopper was arrested on suspicion of distributing harmful matter to a minor over the internet and causing a minor to send harmful matter over the internet, both felonies, police said. He was booked into the Santa Clara County Jail. Sheriff Laurie Smith released a statement Thursday, saying in part, "No one should have to be a victim of sexual coercion or harassment, and there is absolutely no tolerance in the Sheriff’s Office for anyone who engages in this type of conduct. We commend the victim for coming forward and telling her story, and we offer her our full support in grappling with this terrible situation.". Persons with information about the incident are urged to contact Detective Sergeant Brain Spears of the San Jose Police Department's ICAC (Sexual Assaults) Unit at (408) 537-1397. Persons wishing to remain anonymous may call the Crime Stoppers Tip Line, (408) 947-STOP (7867).